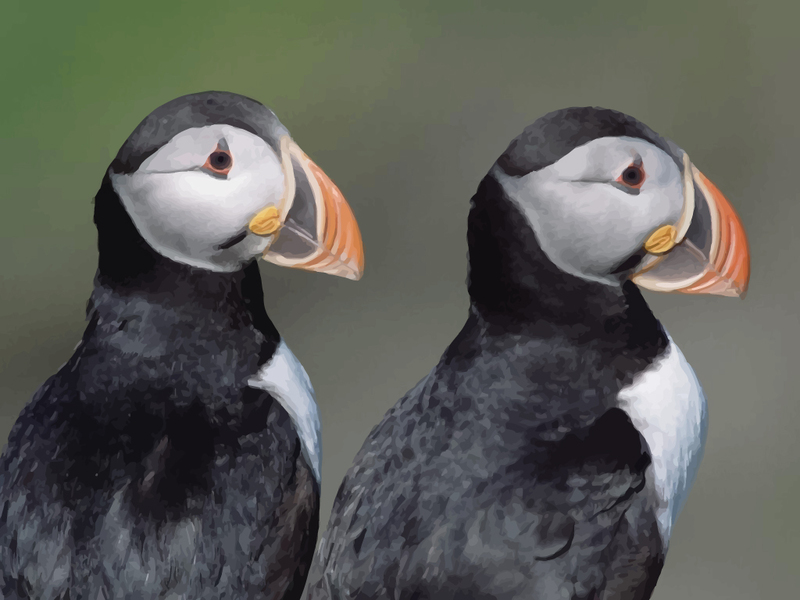 Animal vector wallpaper of two Atlantic puffins looking around. Puffins are small seabirds with brightly coloured beaks. The Atlantic Puffins live in large colonies on offshore islands and coastal cliffs, nesting in rocks or burrows. They feed primarily by diving in the water. Images are copyright of the respective owners.